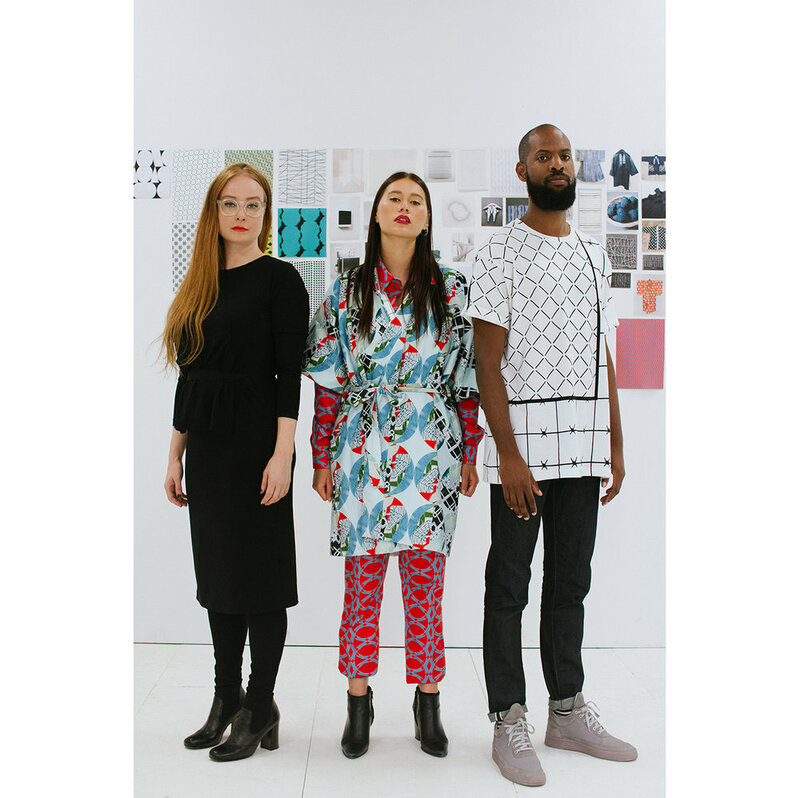 Enclothed Cognition is a collaborative project from fashion designer Bregje Cox (pictured left) and visual artist Mark King (pictured right). The collection is inspired by the theory of Enclothed Cognition. Particularly, how a garment’s symbolic meaning paired with the physical experience of wearing the garment combines to impact the wearer’s performance in everyday tasks. The Enclothed Cognition collection seeks to empower others by bringing awareness to the interplay between the clothes we wear, the built environment, and the human mind.